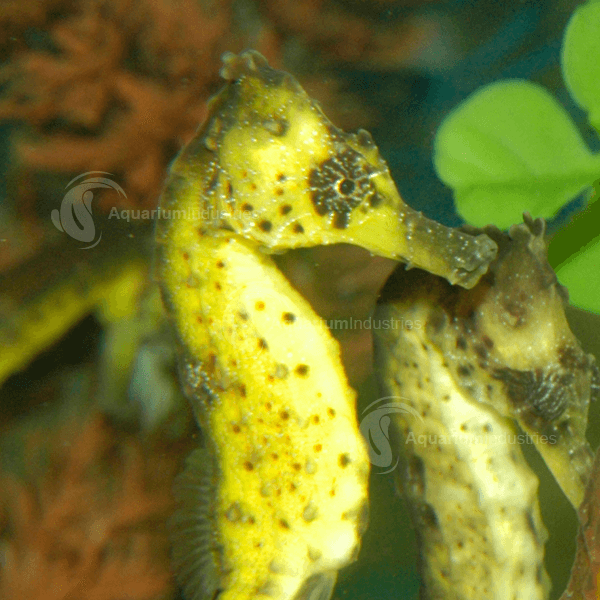 Seahorses are best kept without any other fish species, as their gentle nature does not allow them to compete for food. Colours can vary as Seahorses are able to mimic their surroundings. Usually olive, white or golden, with variable dark spotting. 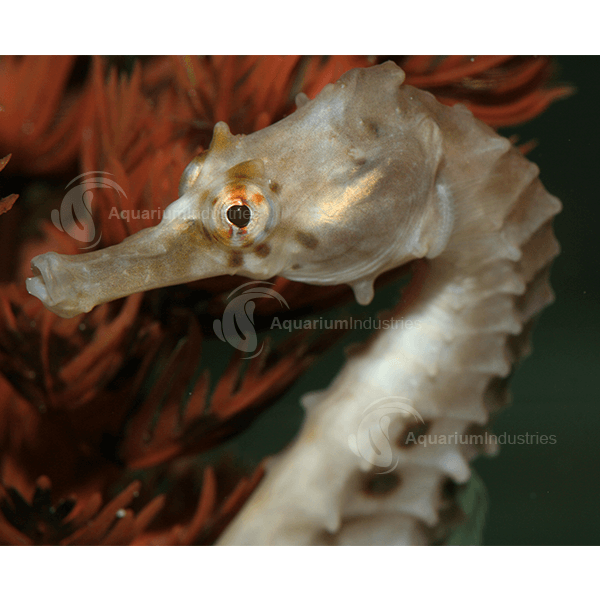 Southern Knight Seahorses are temperate marine fish found in coastal waters of south-eastern Australia and also in New Zealand. Grows to 20–25cm in Australian waters, grows to 30cm in New Zealand in cooler conditions. They can live up to 9 years. Seahorses are best kept without any other fish species, as their gentle nature does not allow them to compete for food. 4-6 seahorses per 40 litres is recommended to allow for growth. 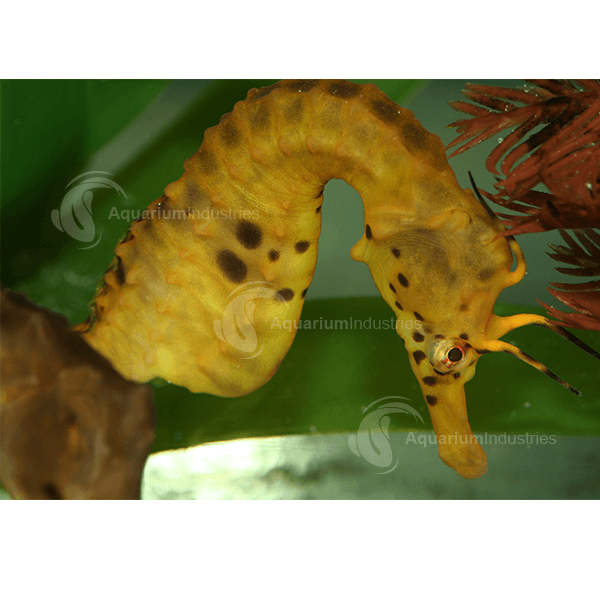 Allow at least 50 litres water capacity for each adult pair of Southern Knight Seahorses. When Seahorses breed, the male holds the eggs in a pouch and gives birth to hundreds of tiny live seahorses! 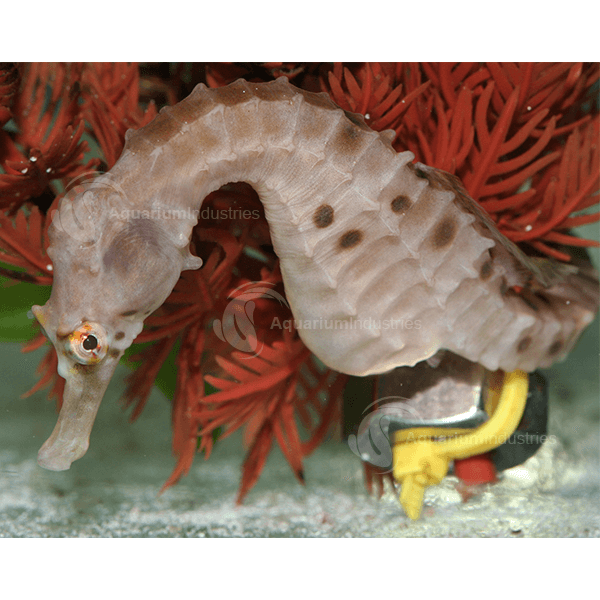 Southern Knight Seahorses begin breeding at 4 months of age. Males can be recognized by their belly pouch, they actually inflate the pouch to its’ maximum extent to try and impress potential mates. During spawning females transfer their eggs to the male’s pouch where they are nurtured for about 30-50 days, depending on temperature. Large specimens release broods of 300 – 400 fry. In the wild, males release 3 or 4 broods over summer. The male’s pouch is white and darkens in colour as the eggs develop. Newborn fry are about 21mm long and can be fed on live baby brine shrimp.